Our team all have one thing in common: They are passionate about sharing the world with you, take advantage of their services. Why Use a Travel Agent! 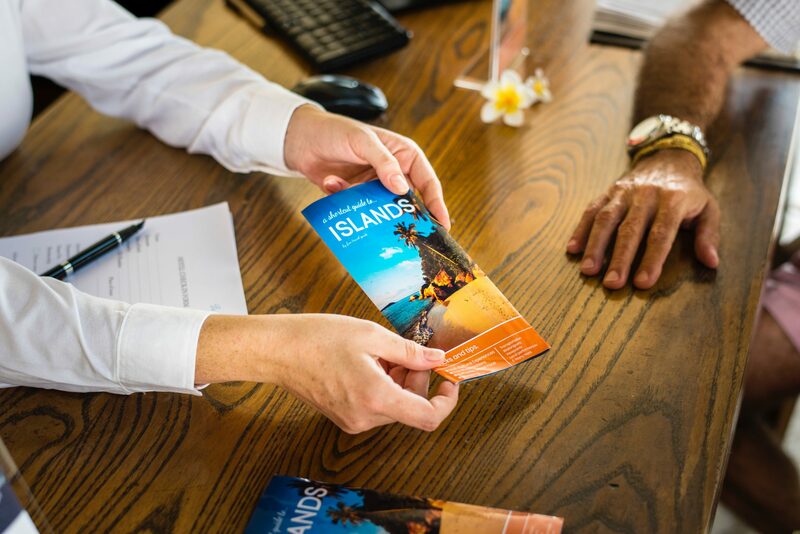 Many travel consumers might not realize what they are missing out on when they travel and don’t use a travel agent, here are just a few things that we can do for you. As Travel agents we know the market and, by listening to what you want, we can match you with a better product than you can find on the Internet. If something goes wrong on your trip, we can go to bat for you, no matter who is at fault, and work to get your holiday back on track. We have access to a variety of tools that the average consumer is not able to use or doesn’t know about. Often we can get you a better seat on an airplane, added amenities at hotels, room upgrades, event tickets, and plan activities for you. As your time is valuable, you shouldn’t have to spend it searching for the right vacation. We can do that for you and then match you with the vacation, that you actually want. As you develop a relationship with our travel team, we can target the right trips for you without even having a conversation. Ideally, a simple phone call or email could result in your next vacation, already planned. Often, we can either save you money or at least we can match the price, while saving you time and effort. There are also hidden savings built into trips and we will likely book transfers for you, included in the price. Sometimes a package that you book yourself won’t include those, making the experience appear cheaper. There are a lot of value-adds that consumers don’t even know about that we can add. Ever wonder why the couple in the cabin next to yours got champagne and you didn’t? Our Travel team know the best times to go to crowded destinations and they sometimes even know what the new “it” destinations are going to be before the masses. Some of our tours and experiences are only available through a travel advisor, companies may offer a lot of components and simply want to make sure their experience is right for you, exotic tours and treks are often only available through an agent. There is a difference between travel inspiration and actual travel desires. Destinations may look good on TV or in a magazine but not actually be ideal for you personally. Our Travel advisors can help you define, what it is you want to get out of a vacation. I am in Manchester at the moment. I had to extend my stay due to my parents ill health. Very stressful time and Jeremy at World Travellers Motueka helped me take the stress away and his customer service is incredible. Extremely professional and thoughtful. Our agent Alesha from World Travellers Motueka is the best in the business. Everything is always RIGHT. Only one phone call was needed and everything was sorted from Motueka to Sydney and return.